The visit to Sri Lanka of Norwegian Prime Minister Erna Solberg to Sri Lanka was significant as it confirmed that the long and positive relationship that Norway has had with Sri Lanka is back on track. The two visits earlier this year of Foreign Minister Børge Brende and Foreign Secretary Tore Hattrem (who had been Norwegian ambassador to Sri Lanka during the last phase of the war) signaled the change. Relations between the two countries got strained after the Norwegian facilitated ceasefire agreement broke down. Sinhalese nationalists with the tacit backing of the government in power at that time accused Norway of being partial to the LTTE and acting in ways that were detrimental to Sri Lanka’s sovereignty. Visitors from Norway at that time felt it was pragmatic to say they were from Europe. However, the warm welcomes afforded to the high level Norwegian visitors this year showed how much has changed since the new government took office. Norway has been a longstanding development partner of Sri Lanka and been providing it with economic assistance since the 1960s. Norwegian assistance came in the early years in the form of technical support for fisheries in addition to integrated rural development. Support to economic development was directed at supporting the improvement of the living conditions in the least developed parts of the country. In fact it was the contacts made by Norwegian development specialists in those early years that paved the way for Norwegian facilitation of the peace process that commenced during the period of President Chandrika Kumaratunga. Norwegian development workers such as Jon Westborg, who served with the Red Cross in both the north and south of the country, became involved in the peace process. Jon Westborg was the Norwegian ambassador to Sri Lanka during the signing of the ceasefire agreement. One of the highlights of Prime Minister Solberg’s stay in Sri Lanka was the speech she delivered in Colombo under the aegis of Sri Lanka’s Foreign Minister Mangala Samaraweera. She chose the theme of achieving Sustainable Development Goals by working for the common good. She is presently the co-chair of the UN Secretary General’s Advocacy Group. In the course of her speech Prime Minister Solberg acknowledged Sri Lanka’s welfare policies which attracted international attention especially in the decades of the 1960s and 70s and influenced policy making in other countries. These are achievements that the country has continued to sustain half a century later. Sri Lanka remains in the top half of the world’s countries in terms of social and physical quality of life indicators and is now regarded as a middle income country and able to handle developmental issues with its own resources. In this context Prime Minister Solberg’s reference to Norway’s present priorities in regard to bilateral development cooperation with Sri Lanka is significant. She identified key sustainable development goals as being climate change, conservation of the ocean, peace and justice, gender equality and affordable and clean energy. These are areas that require societies to put the interests of all, or the common good, into the forefront, and not selfish interests that put one’s own country, gender or ethnicity to the fore. The Norwegian prime minister pointed out that Norway was a strong supporter of multilateral initiatives such as UNICEF and UNESCO, whose head Irina Bokova visited Sri Lanka shortly thereafter. She also pointed out the importance of civil society in the education process and to build accountability and engagement at the community level. At the present time the Sri Lankan government’s priority in terms of the key sustainable development goals identified by the Norwegian prime minister is achieving sustainable peace and justice through a two pronged process in which accounting for the past and constitutional reforms are the main components. The government is developing new mechanisms, laws and constitutional proposals in consultation with civil society as recommended by international best practices. These consultations have been with those in civil society who are knowledgeable about the areas that require reform and who are sympathetic to it. The Public Representations Committee on constitutional reforms headed by Lal Wijeynayake has already completed its process of consultations and finalized its report which has been handed over to the Constitutional Council. The consultations with regard to the reconciliation mechanisms by the Consultation Task Force headed by Manouri Muttetuwegama are still in the process of being finalized. Initial reports from the Zonal Task Forces which are meeting directly with civil society indicate a positive response to the government’s proposed reconciliation mechanisms, comprising of an Office of Missing Persons, Truth Commission, Special Court on accountability issues and an Office of Reparations. Even the politically controversial issues, such as the role of foreign judges in the accountability process, have been viewed in a positive light by those in civil society whose views have been obtained. The government has been under considerable pressure from both the Tamil polity and the international community with regard to international participation in the accountability process. The passage of the Office of Missing Persons (OMP) bill through Parliament shows that the government is determined to meet its commitments by the Tamil polity that fully supported it at the last elections and the international community to whom it made commitments by co-signing the UN Human Rights Council resolution in Geneva. The OMP legislation has won support from the international community led by the United States. The government was able to successfully overcome political opposition to the OMP and pass the bill in Parliament despite protests by the nationalists in and outside Parliament. It is likely that the other three mechanisms that the government has pledged to set up, the Truth Commission, the Special Court and the Office of Reparations will be of similar quality. Through its process of consultations with civil society and the passage of legislation in Parliament the government is putting the superstructure of sustainable peace into place. However, Norwegian Prime Minister Solberg’s words with regard to the role of public education in achieving sustainable development need to be heeded. She said that “It is important to build accountability and engagement at the community level and local NGOs have a key role to play involving parents and local communities. The downward trend in education over the past years must be reversed.” Despite the changes in thinking and attitudes that are visible today in Sri Lanka at the level of the government leadership and much of the polity with regard to the reconciliation process this message needs to be taken in a cohesive and systematic manner to the people at the community level also. Last week the Justice and Peace Commission of the Conference of Major Religious Superiors of the Catholic Church organized a three day leadership training for school children from Catholic schools of the north and south. There were Tamil children from Jaffna, Mannar, Kilinochchi, Pudukuduirrippu and Mullaitivu who mixed with Sinhalese children from Kandy, Negombo, Ratnapura, Kalutara and Colombo. They got on well with each other in the sports and social activities. But when they were given the opportunity to ask each other questions about the ethnic conflict and the post war situation, sharp differences in their thinking manifested itself. The Sinhalese children wanted to know whether the Tamil children appreciated that Sinhalese soldiers had liberated them from the LTTE and from war. The Tamil children asked how those who fought against injustice could be called terrorists. Although the children shared a common religion and had been exposed to each other in a friendly environment, their inner thoughts remained at odds with their outer behaviors. If peace in Sri Lanka is to be sustainable there is a need for public education on the ethnic conflict, even after the reconciliation mechanisms are in place. Sri Lanka has an unfortunate history of missing opportunities. What governments have tried to do to resolve the conflict in the past, those in opposition have effectively undone by arousing primeval fears and mobilizing mass opposition. This time around the existence of a national unity government mitigates this risk, but it is still necessary to ensure that the people understand and accept the changes to ensure sustainability. Well Jehan Adolf Hitler and the Nazis too had parents and siblings did they cry for accountability. They were still considered the scourge of western civilisation. Same is true for the LTTE. Now if you would have heard the speech of Sirisena in Matara last week and the crowd that was there. Things are heading south for this government. It will only get worse. The Tamils always have had the misfortune of having myopic leaders, it is no different now. You guys are there to make money anyway so be quick about it this may not last long. “The Tamils always have had the misfortune of having myopic leaders”. If there is Accountability for FINANCIAL CRIMES of politicians, then accountability for their war crimes would be more acceptable. 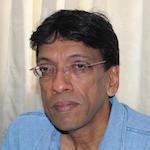 Instead of investigating Financial Crimes, the present government is tangoing with the Mahinda Jarapassa family and has repackaged the corrupt politicians, like it repackaged the Port city as a financial city while carrying out the same corrupt Jarapassa policies for a financial and environmental disaster in Sri Lanka that will affect coastal and fishing communities. Their IQs are bi-modally distributed, and most Tamil leaders IQs were closer to the origin? “Sri Lanka is not a happy, united country. Do you think that BOTH the IQ’s of Para-Tamils and Para-Sinhala, are bi-modally distributed, and most Sinhala and Tamil leaders IQ’s were and are closer to the origin? The Story Of Two Graphs drawn by A Sinhala and and Tamil Man? Coconut and Onion Prices and Sinhala and Tamil IQ Distributions? After All, they are Paras, generically similar, and should be about the same. The writer failed to mention tacit support given to LTTE terrorists by Norwegian entities. Providing communications equipment, passports to terrorists to evade arrest and political support. There was also financial assistance to NGOs for their services to undermine the security interests of the state. Please give some reliable references to the history you recount in such vivid and colorful detail. If you can get hold of, please read “The Collapse of the Rajarata Civilization and the Shift to the South-west – A Symposium” by K.Indrapala, Ceylon Studies Seminar, University of Ceylon, Peradeniya, 1971. Unfortunately this publication is out of print. There is one in Peradeniya University library. I am sorry did Dravidians (was/is it a race) invade non-Dravidian or their own Dravidian people in this island? Were all those wars you cite, really wars between races? Is that the reason why the so called noble Aryan Sinhala/Buddhists destroyed Jaffna public library, many temples, people, habitats,…. in the North, probably out of 1000 years of bottled up anger at Cholas? Yes, this is historically recorded, the “recent” history. However, the the Para-Tamils were later arrivals. The Para-Sinhala were arrivals before that, about 2,500 years ago, according to the chronicles. The Fact remains that BOTH the para-Sinhala and Para-Tamils, and other Paras, are Paras in the Land of Native Veddah Aethho. It was their home for 14,000 to 30,000 years, until the Para-Sinhala came ans stole their land, chased them away and killed most of them off. I agree with you. I strongly believe that Sri Lanka has ignored the Veddas. That is the reason why in one of my comments stated that if the National Anthem is sung in Tamil, it should be sung in Veddas language also. If National Anthem is changed to include Tamil, Vedda language also should be included. Top Level Decisions Need To Be Backed By Education On The Ground .. Yes, similar to that of jehan’s. Who is good for nothing despite his education and living off any carcass he could lay his hands on. free pusher. Jehan go and engage yourself in something in compatible to your qualifications instead of feeding on donour money to rumble things pleasing to them. If Rajapaksa bent over to Norwegian Solheim, Mr Pirahaparan would have been the Premier of Federal Eelaam in the North East. Now his family is in and out of jail, thanks to the West ,Norwegians , Suren Surendran and Batalanada Ranil. Any one reading this would wonder why the Tamil children need any more education, when they told the Sinhala Kids , that Mr Pirahaparan was their Freedom Fighter. Reverend Emmnuel and Bishop Raiappu have done a marvellous job. Wonder how much this Jehahan’s NGO outfit input into the Eelaam Education syllabus, And how much resources they provided with Norwegian dollars. Did Jehan and the Yhapalana suckers put up banners welcoming the Norwegian Madam to Magaplis?. Is it not a sin when all of the above are done by agents of the state? Of course, it is a sin whoever kills, when their lives are not at risk. But, refer to the question asked by the children “how those who fought injustice be called terrorists?”. If they went about in an organised manner to kill civilians then it is a sin according to the bible. That why LTTE are terrorists. Do we need to have Norwegians to sort out the mess the country is in? It was the British who created the curreent mess and, why bring in another foreign broker, the Norwegians, as the writer would like to? There is a wealth of Tamil, Sinhalese and Muslim intelligensia that can formulate a constitution acceptable to all. Bring in foreigners; as in Palestine, Vietnam, Kashmir, Syria, Iraq and create a mess that never get solved by them. As Vietnam has shown, throw the foreigners out and there is hope. I breathed a huge sigh of relief when the visit of Norwegian Prime Minister Erna Solberg went off WITHOUT the once traditional marriage proposal. Phew! Evidence that there is still hope for Sri Lanka. How is it that the government at the time (1989) never called the JVP “terrorist”? Who killed more Sinhala CIVILIANS, the JVP or the LTTE? when you are able to give straight answers to these questions will you be free from “patriotic” brainwashing, my friend. I suppose these babies were not civilians? The LTTE was undeniable a ruthless Terrorist outfit. I am not sure what you are on about.I cannot see why an organisation that joyfully cut open stomachs of pregnant Sinhalese women, smashed the heads of toddlers, shot, bombed and killed unarmed civilians by the thousands including their own, sabotaged economic and social installations be anything other than Terrorist. The SL army fought as they had to defend the nation and I believe they did a wonderful job of defeating the racist, murderous Terrorists. Does it bother you that the SL forces defeated the Tamil Terrorists? If, any innocent people got killed in May 2009, then those who supported the Terrorists must take the responsibility. Are you not aware that the last 4 Kandyan Kings were of South Indian origin? Why was the Kandyan convention signed in Tamil by many of the signatories? What I am on about is the way “terrorists” are treated according to their ethnicity. If “our boys” do it, they are fighting for liberty, whereas if “they” do it, they are terrorists. I assumed you were a Catholic, that’s why I quoted the Bible, where it seems God is justified in killing infants just because they are Egyptian. The children Jehan Perera is talking about cannot have had any personal experience of the civil war. They pick up their attitudes from their parents, who have a herd mentality inculcated in them by authority and the media.That is why re-education is necessary.We do not need children keeping on with 1500-year-old grudges. I do believe you are a reasonable person, Lal. But you are a product of your environment. To find the truth, one must ask questions. For example, given the LTTE was terrorist, would anyone who helped them be a terrorist? Yes, of course, I can hear you say. In that case, was President Premadasa a terrorist because he supplied weapons to the LTTE? If not, why? Was Prabhakaran’s son a terrorist? Were Wijeweera’s children terrorists? How is it that VP’s family is dead and Wijeweera’s is doing fine? Oh yes, I used to be as “patriotic” as you, but I found too may questions like the above had no good answers. What I cant understand is if we throw out the Norwegians ,US,Europeans South Africans will we have reconciliation?Will the Sinhala Bhuddists & Tamils stop fighting each other ,stop burning their temples and libraries and killing each others people.Why cant they accept each others differences and different cultures but decide not to dominate each others culture? Is this too much to ask ? Or shall we spend another century bashing each other and calling each other ………. etc. Who came first to this Island the chicken or the egg? How bloody silly is Patriotism . Jehan is right .We have to go a long long way before we become civilized! What nonsense. LTTE practiced Ghandian non violent powers of persuasion. They all loved to strap bombs and blow themselves up for ANNA VELUPILLAI. Stop spreading Singhalam lies here yaar. Ask Rudra. Ask Norwegians, Mark Salter and Jehan Perera funded by Norway. These children all 100% volunteered to blow themselves up, and massacre people and fight because of the greatest civilization on Earth known as Dravida Nation required them to do so. Ask Aunty Anne Balasingham safely ensconced in Comfort in the outskirts of London. Spotted last week at Selfridges by intel. They came in thousands to join. Norway says they never killed civilians. Jehan says Norway was an honest broker and Jehan is an honorable man. Thum bohoth joot bolrahengey. In a previous article what you called Civili society aka NGOs are identified as Open society in other countryes. They are funded by USAID aka CIA. Question. FACT: Indian low caste estate tamils were brought into Sri Lanka by the British. They did the same by taking S.Indian indentured labour/serfs to Fiji and Malaysia and even to Trinidad and Tobago. The Christian British did not give a damn about changing the demographics of Ceylon. These million plus Indian Tamils were NOT indigenous tamils when they were brought to work the Estates. Their history is very new. They are looked down by indigenous Tamils of Jaffna. Indian Tamils are typically the lowest caste in the backward Hindi Caste driven structure. IF Jehan paid by the Norwegians, Wigneswaran, and other tamil nationalists demand N. and E be merged because of traditional rights as they see it, then why cannot the Sinhala Kandyan Peasantry who were disenfranchised by the British demand the expulsion of Indian Tamils to form a Kandyan Eelam because FACTS; history; RECORDS SHOW the Kandyan Kingdom existed before the British and NOT one Indian Tamil was present until after 1815 with the exception of those in the Courts of the Kings via Marriage but most of those were Malayali brides and Malayalis with some Ceylon Tamils. SO LOGIC IS LOGIC IS LOGIC. IS a Kandyan Sinhala Eelam justify with all the proof present and existing to ask Indian Tamils to move out? Just being a devil’s advocate to piss off the racist Chauvinist Eelam Tamils here. But facts are facts no? Do we want that? No because they still work harder than Sinhalese or Tamils of North; they do all the hard work in the Estates, they make great domestic servants; they even used to do the cleaner jobs without fuss. Keep them but I am playing devil’s advocate. Jehan NGO Kaakka Perera with Nordic Money; what say you old chap? merits another business class trip to the west no?